There is no limit to the type or size of audience for whom traditional West African harpist Baba the Storyteller performs. The diversity of his creativity is infinite. Whether telling tales in English, Spanish or French, Baba tailors his stories to the needs of those assembled. There is no artistry comparable to the unique productions Baba has to offer. He was very professional, very punctual, and he did an awsome job. I would reccomend him to anyone. Baba's presentation was excellent. His playing and knowledge of the cora is exceptional. His storytelling was engaging. I would recommend him to anyone requesting his type of entertainment. Baba gave a lively seminar at the National Storytelling Convention. His topic was marketing yourself online. I took lots of notes and have been referring to them since. He kept all of us engaged. His voice was gentle and his presence felt genuine. I got a lot of value out of his presentation. Baba the Storyteller was able to combine music, honesty, story, and integrity in a business workshop. Most of all, he was able to show the personal side of promotion while honoring the responsibility of storytelling. I recommend you take the time to listen to Baba, he has much to offer! Review by Alicia V. S.
I can't say enough about how wonderful it is to work with Baba. I have booked him for events for over 11 years- and he has always exceeded expectations. He is professional, kind, dynamic and authentic. He speaks to all ages. I highly recommend Baba. Although I was only to stay for half of Baba's workshop, it was well worth the time. Baba realizes that "communication" is what storytelling is all about and all about where our business is. He offered creative out of the box approaches to marketing the storytelling business. 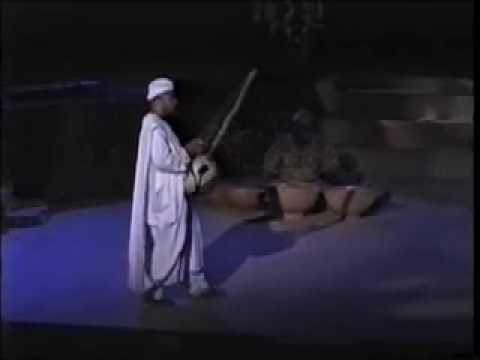 If you are looking for positive cultural educational entertainment, I strongly recommend Baba the Storyteller & Kora Musician. Baba performed at my school several times over the past ten years. Each year we host several assemblies and educational entertainment for the entire school and Baba the Storyteller was always our most highly anticipated performer by both students and staff. He is an amazing griot and beautiful Kora musician who will have you fully engaged in all of his stories no matter your age. The graduating class of 2010 was fortunate enough to have seen Baba perform several times over the years and when asked what some of their most memorable student experiences were over the years, Baba the Storyteller was at the top of most of those lists. He definitely left a positive impression on the children and teachers and seeing him perform was an experience that they will not soon forget. He is a total pleasure to work with and his commitment to his craft is evident. Do not miss out on experiencing Baba the Storyteller. 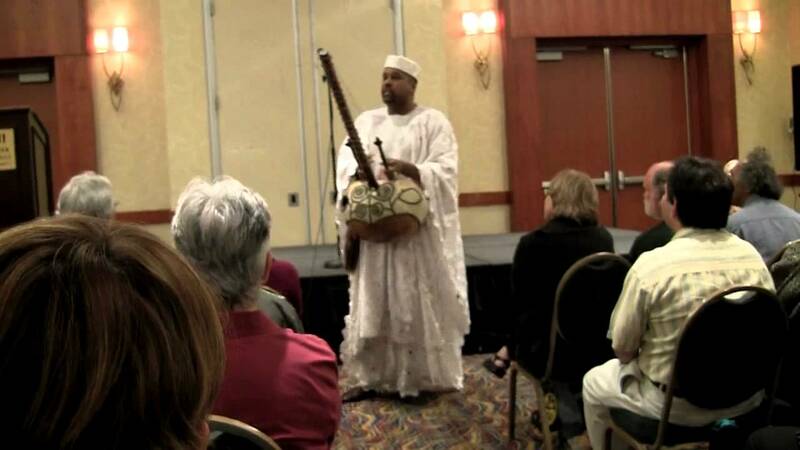 I hired Baba the Storyteller and Kora Musician for several Family Night events at the Burbank Public Library. His stories are captivating, he has an excellent rapport with children and adults, and he knows how to handle a crowd with class and wisdom. 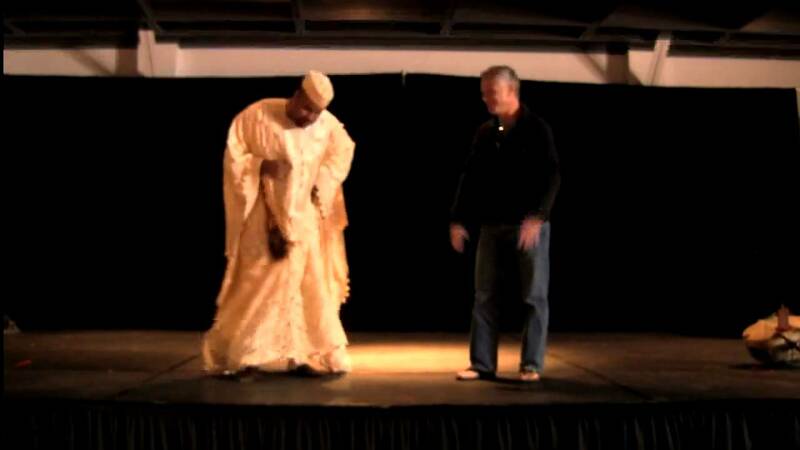 Baba the storyteller has been bringing African culture to the Los Angeles area for at least 10 years, that I know of. His contributions are much appreciated and I hope Baba continues his sensitive, enlightening, entertaining storytelling with a message. He goes deep and shares/heals us with the wisdom of the village, intermingled his message with the sweet sounds of the African kora. Thanks so much for your much needed presence in this sometimes fast paced, selfish world. Review by Michael D. M.
I've had the joy of working with Baba the Storyteller for many years. When I began organizing the National Storytelling Conference I knew that I wanted him to kick it off and get the conference on the 'good foot' right away. And did he ever. Participants were mesmerized and excited by his performance. A group of young men from a juvenile facility were clearly inspired and captivated. He is indeed 'all that'. Baba the Storyteller has performed at my school each Sept.since 1999. He is an anticipated visitor each year. He brings fresh entertainment and education and the students get a chance to interact with him in a way that is thoroughly rewarding. I engage him each year to begin my curricular studies. He checks in with me to make sure he is on topic and to see if I have new requests of him. Insurance: $1 million - typical performance liability insurance, certificate available upon request. The din of an awaiting crowd is broken up by the gentle tones of an ancient harp. A deep, resonant voice sings over the delicate vibrations of its’ twenty-one strings as Baba the Storyteller walks onto the stage. The audience unites in anticipation of an experience sure to accompany the beautiful music capturing their attention. A bond is forming. The audience and storyteller are now companions on a journey through which tantalizing tales and mesmerizing music will serve as guides. Adults reunite with the familiarity of their imaginations, while children are enthralled by the joy of a new experience that is mysteriously calming and exhilarating at the same time. Baba’s performance is as easily accessed by the young as it is appreciatively nuanced for the young at heart. A peaceful, relaxed atmosphere full of smiles and laughter has been shared as the journey ends where it began, with stories and music. Each departs renewed with a sense that they have just participated in a truly beautiful and memorable experience. Baba has presented in, literally, thousands of organizations and institutions both private and public. He is recipient of a certificate of recognition by the California State Assembly for his use of creative use of storytelling and commitment to community in working with troubled teens. Baba was also awarded the Distinguished Arts Award, Artist of the Year, City of Long Beach California. This awarded was presented to Baba by the Mayor of the City of Long Beach California and administered by The Public Corporation for the Arts. Baba has also received commendations for his artistry from both the US Senate and US Congress. Baba is a self-contained artist, touring small and medium sized venues with his own sound system, microphones and equipment. His performances are adaptable to almost any environment from living rooms, coffee shops to theaters both large and small. Performances space is not an issue as he may perform walking amongst an audience or from a stage. For smaller crowds and groups acoustic performances are offered. 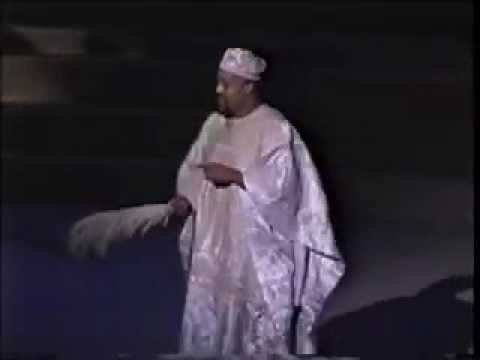 Tailored to the needs of the client but will always include engaging, interactive and humorous narrative/stories, traditional West African harp music, improvisational audience interaction and singing in the West African language of Bambara.